Ap Gstore themes has been purchased 5, rating: 4/5 based on 4 reviews. Ap Gstore Shopify theme is one of the most powerful and flexible topics. It is tested and can accommodate any device including a personal computer, laptop, tablet or mobile phone. If you are looking for a nice, creative website for your online store, Ap Gstore Shopify theme is a perfect choice. This theme is built with great features such as Swipe elements, animations and Owl Carousel to give the theme a smooth feel. You can build your own style. 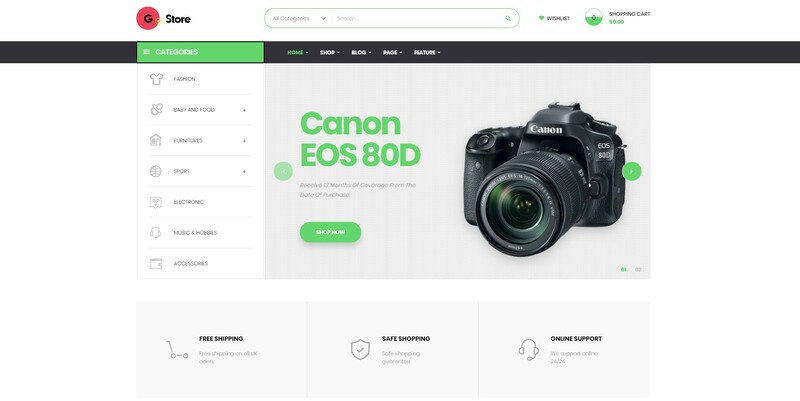 In addition, this theme is built with a large number of powerful features such as Bootstrap 3, CSS 3, HTML 5 and Font Awesome 4 that help you build e-commerce site in just a few minutes.